As a female drummer (or “percussionist,” if you want to sound fancy), I rarely get on my soapbox about the unequal representation of females to males in the drum community. 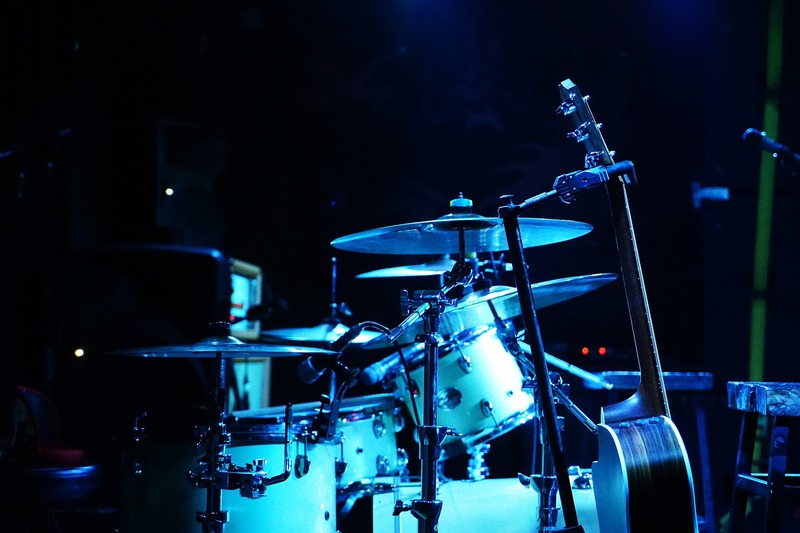 But recently I ran across an article circulating on Facebook that disturbed me enough to speak back to the ways assumptions about gender are mapped onto drummers in popular culture. So what was this article? Actually, I shouldn’t even call it an “article”—it read more like a short fluff piece for a dating site. Wanting to know more, I tried to contextualize the piece by looking through the website where it had originally been posted, even going so far as trying to find out more about the author herself (yes, this piece was written by a woman, which it makes me all the more angry). But all I could gather was that the author really enjoys writing “Why you should date (fill-in-the-blank)s” pieces, and they’re all relatively short with five to ten reasons why this type of person would be your ideal partner. The author’s piece listed five reasons why you should date a drummer. As a drummer myself, I don’t take issue with the reasons the author cites to date one. The problem is with the author’s title and with the way she frames her entire argument: “Five Reasons You Need a Drummer Boyfriend (Says Good Ol’ Science).” Let’s forget for a moment that only three out of five reasons are interpreted from scientific studies. That I can forgive. What bothered me was the use of the word “boyfriend,” followed by a list of masculine pronouns implying all drummers are male. The author would have been more correct if she had titled the piece something like “Why You Should Date a Drummer,” leaving out the word “boyfriend” and used gender-neutral pronouns throughout. After all, the five reasons that she cited apply to women as well—women can be leaders; they can be brainiacs; they can be tough; they can have stamina; and they can be great lovers. But instead the author frames her “drummer” as a male from the start of the piece by referring to drummer as “boyfriend” and using the pronouns “he/ his” whenever there is reference to a drummer in the article. To make matters worse, the author does use gender-neutral wording in some of her other pieces, which tells me she knows the importance of remaining gender-neutral in certain discussions. For example, one of her other pieces is titled “Nine Reasons You Need to Date a Dancer (According to Science).” Let’s ignore the fact that the basis of this article is almost identical (including the reference to “science”) to the article about drummers. After all, she is writing to a particular audience and she seems to have found a niche readership. (You go, girl!) The difference about this article is that the “dancer” is referenced by the use of gender-neutral “they”. The “dancer” can be a man or a woman, whereas the “drummer” is always going to be a man because of her use of masculine pronouns. Because anyone can be a dancer, but only men play drums, right? Now it’s no surprise that representation of male drummers largely outweighs representations of female drummers in the media. I think this is fundamental problem that extends across many music instruments and genres. Just consider the plight of female musicians in jazz (see, for example, Sherrie Tucker’s work on the forgotten all-girl big bands of the 1940s) and electronic music (see Tara Rodgers’s work on women in electronic music). As a female musician myself, I’m bothered that the rest of the world doesn’t seem to want to acknowledge that there are females in a discipline dominated by males. Why do I feel like the rest of the world always needs to be reminded that there are female drummers? Are female drummers not as good as male drummers? Not as respected? Not as good at marketing themselves? I’m writing this article to speak back and say that, yes, women do indeed play drums (check out this growing wikipedia list or this recently published book). And, yes, they do play them well. And they are respected, and some of them famous. I know plenty of male drummers who learned from female teachers, and I know plenty of female drummers who are leaders in the field of percussion. While this doesn’t seem to be a secret in the drum community, the rest of the world seems to be out of the loop. And despite the portrayals of drummers in popular culture, female drummers are respected by their fellow drummer colleagues in their field. Some of my biggest supporters, teachers, fans, and inspirations have been male percussionists. Some of my best friends are male drummers, with whom I remain friends because they are the only people who interact with music the way I do (we could sit for hours talking about polyrhythms and practicing on drumpads—it’s nerdy, but it’s true). And only rarely do I encounter a fellow drummer who rates my playing on whether I’m “pretty good for a girl.” No, I’m just good, thank you. Period. What we need to remember is that these gendered understandings of drums and drumming are not inherent in themselves. They are cultural constructions that have been mapped onto percussion instruments through discourses and imagery in media and scholarship—which historically focuses on the achievements of men in the public realm and overlooks the important contributions of women to disciplines such as music (see the introduction in Ellen Koskoff’s edited volume on women and music for an overview of this issue). Compound these stereotypes of gender with Western ethnocentric views on the ancillary role of percussion, and you have a real lack of awareness about the realities of the drum community. I’m sure the author intended for her piece to be read by women, and that’s why she framed her hypothetical “drummer-boyfriend” as male. But her piece has been circulating around Facebook, Twitter, and Pinterest outside the context of this intended readership for several weeks now. From this de-contextualized and subsequently re-contextualized world of social media, my initial felt reaction was one of exclusion. As friends (even drummer friends) started sharing the article and making their self-congratulatory remarks about either being drummers themselves (“LOL! You should date me because I’m a drummer!”) or having drummer sexual partners (“LOL! I can attest to the truthfulness of reason number five!”), I felt marginalized because I couldn’t participate in sharing this funny little piece since I’m not a man. And then came the strong reaction welling up inside of me: Wait a minute, dammit, aren’t there female drummers too? Wouldn’t this same argument apply to having a drummer-girlfriend? I know some people are going to take this post as a hyper-feminist comment about what was intended to be a fluff piece on dating drummers. One look at the archived comments to this piece gives you some impression of the types of reactions that people have when women speak up about their exclusion from “silly little things” like drumming (or gaming or superhero characters or other fields dominated-by-male-participants). I know I never really understood the debate happening in Gamergate because I claim no feelings of ownership to the world of gaming. But this piece tried to comment on my world—the world of drummers and drumming where I have been residing for more than twenty years now. The author, basing her understanding of drummers on the stereotypes that media perpetuates, forgot about my place in that world. She entered my world to comment upon it and immediately wrote me out of it by assigning a male gender to the hypothetical drummer-partner she referenced. Thanks for reading, Jay. Your comment touches on a couple of issues. First, it addresses gendered assumptions associated with mathematics and other STEM-related subjects, such as computer coding and engineering. Unfortunately, over time these subjects have been culturally construed as masculine/ male-oriented disciplines. My personal opinion is that there is nothing biologically or neurologically inherent in men or women that makes them more suited to certain disciplines (whether we’re talking about STEM subjects or the arts and humanities). And, second, you’re addressing another cultural construction about gender that has been mapped onto South Indian percussion and rhythm over time through South Indian classical concert practices and discourses. I did on occasion encounter some of these gendered assumptions as it pertains to South Indian percussion instruments as well as the mathematical side of South Indian rhythm from certain musicians when in Chennai. And in the early 20th century it was often considered inappropriate for females (even female vocalists) to perform fast, complex mathematical improvisations because this type of improv (along with excessive gesturing and slapping tala on the thigh) was associated with males and masculinity (and also with the devadasi tradition). Amanda Weidman and Matthew Harp Allen have written about some of these early gendered assumptions. But during multiple visits to India over the past 10 years, I’ve discovered that many of the most reputable and successful percussionists today have female students and some have even studied with female teachers. So maybe these gendered views are evolving and being challenged over time? I would also point out that the dancers of bharatanatyam (which has been gendered as a female discipline) perform the same complex mathematical mridangam rhythms with their arms and feet while dancing. So it isn’t that females are not suited to handle the math side of South Indian rhythm, but perhaps that they have been discouraged from pursuing percussion based on culturally held views about gendered behaviors as related to India’s classical arts.